This tapestry throw shows a typical design by the famous artist Gustav Klimt. Tapestry design is a craft that only a few master. The designer starts from a high resolution image, which he scans and then comepletely reworks it until it is ready for weaving. Averagely, the "cleaning up" of an image takes between 12 and 16 hours. Respect ! 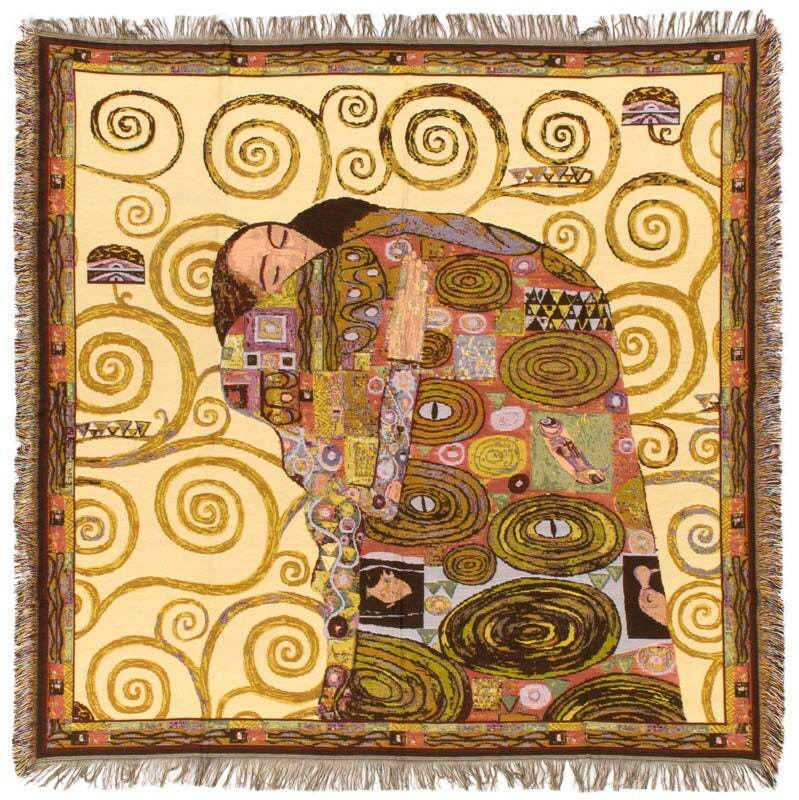 This Museum Collection gobelin throw blanket shows the famous painting The Fulfilment by Gustav Klimt, (July 14, 1862 – February 6, 1918) who was an Austrian symbolist painter and one of the most prominent members of the Vienna Secession movement. Klimt is noted for his paintings, murals, sketches, and other objets d'art. Klimt's primary subject was the female body,and his works are marked by a frank eroticism. In addition to his figurative works, which include allegories and portraits, he painted landscapes. Among the artists of the Vienna Secession, Klimt was the most influenced by Japanese art and its methods.